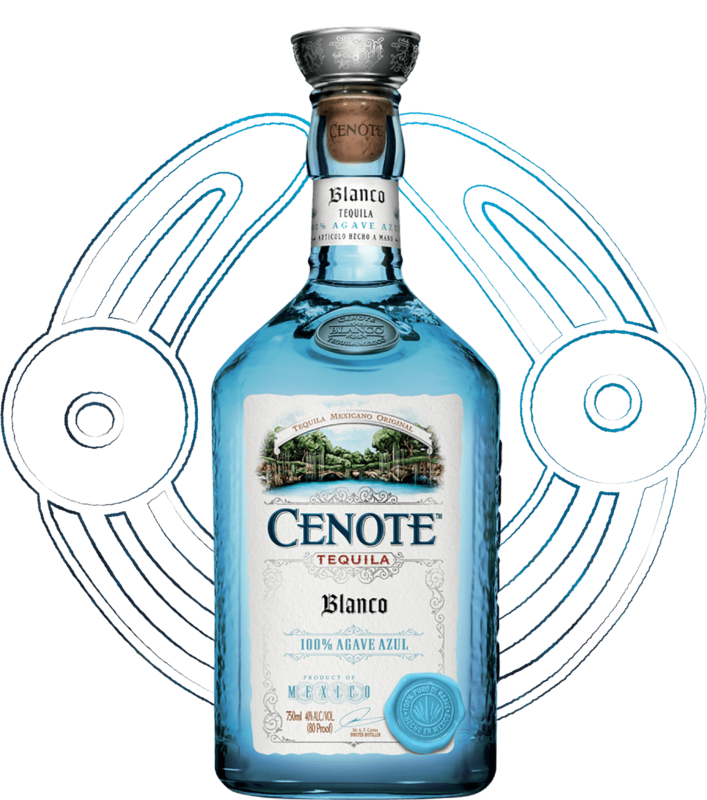 Cenote™ is an ultra-premium 100% Agave Azul Tequilana Weber Tequila inspired by the beauty of the Yucatán Peninsula and the spectacular underground water systems unique to this geographical region. 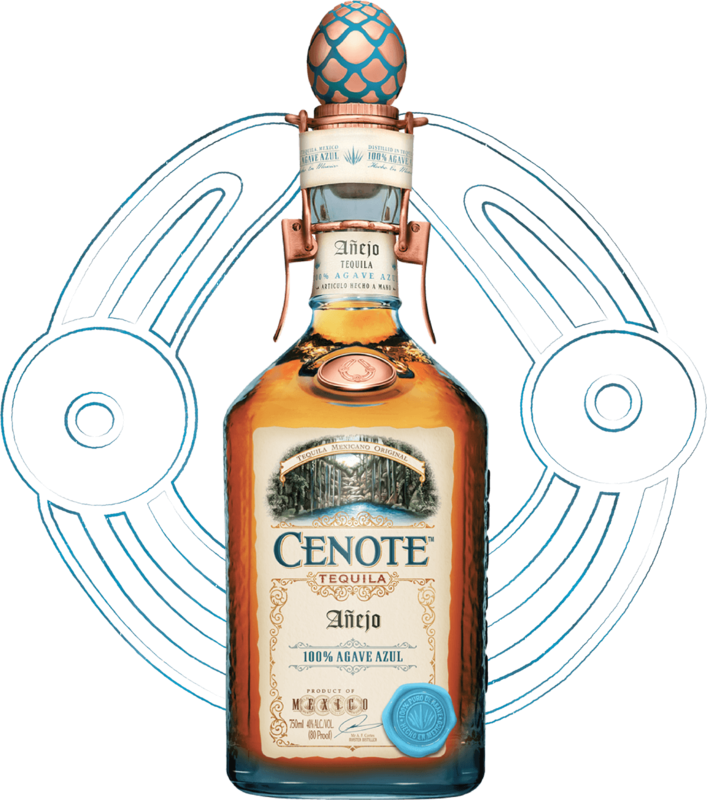 Cenote™ Tequila has a complex flavor profile that balances fragrant cooked agave with delicate wood notes. Cenotes are natural swimming holes formed by the collapse of porous limestone bedrock, which has revealed a secret subterranean world of crystal clear, fresh water that has been meticulously filtered by the earth. The Mayans revered cenotes because they were a water source during dry times; giving them the name cenote meaning ‘sacred well’. They believed cenotes were ‘windows to the underworld’ inhabited by gods and goddesses including the god of rainfall, Chaac. 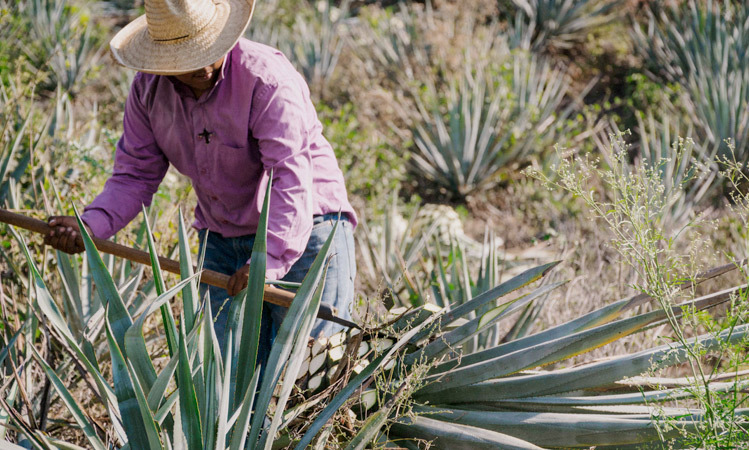 Our water is sourced from an artesian well located at our distillery, which sits at the base of the Jalisco volcano. The water goes through reverse osmosis and carbon filters with silver ions to eliminate any chance of impurities when making Cenote™ Tequila. 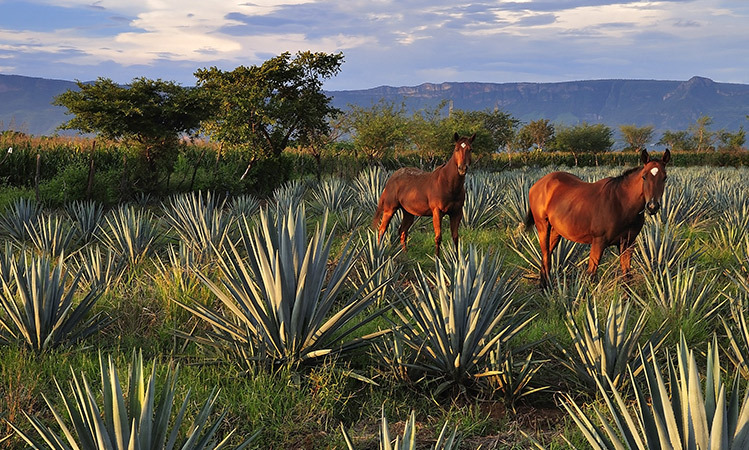 To produce the highest quality tequila our agave grows to full maturity for a minimum of 6-7 years before being harvested from the lowland region of Jalisco, Mexico. Cenote™ is distilled using a combination of copper and stainless steel pot stills to preserve the natural flavor of our liquid. 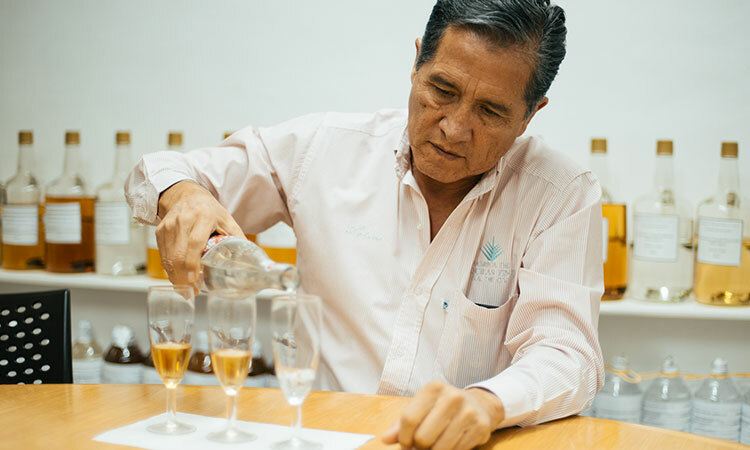 Our Master Distiller Arturo Fuentes takes a unique, global approach to aging Cenote™ Tequila. Using American Oak barrels across the range allows the flavor of agaves to shine through while balancing the complex flavors of the Yucatán region. Brilliant in color, this lively Cenote™ Blanco tequila is packed with bright citrus and pepper on the nose. 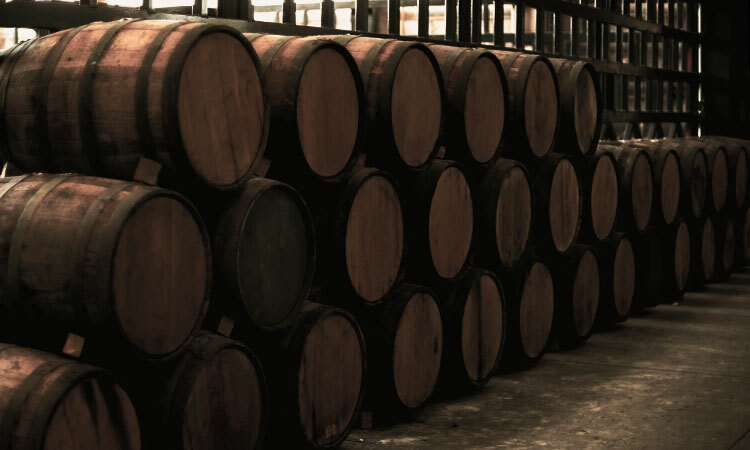 Continuous flavor of rich, cooked agave, spices, subtle wood, and green vegetables, are a result of mellowing the spirt in American Oak barrels for three weeks. Golden straw in color with a balance of vanilla and wood on the nose, Cenote™ Reposado is aged three months in American Oak Barrels, delivering a round, harmonious palate of vanilla, wood, spice, and green vegetable. Rich amber in color with good legs, Cenote™ Añejo is aged for one year in American Oak barrels. A smoked, woody nose with vanilla, spice and chocolate on the palate, this complex spirit balances the flavors present in the Yucatán Peninsula terrain. 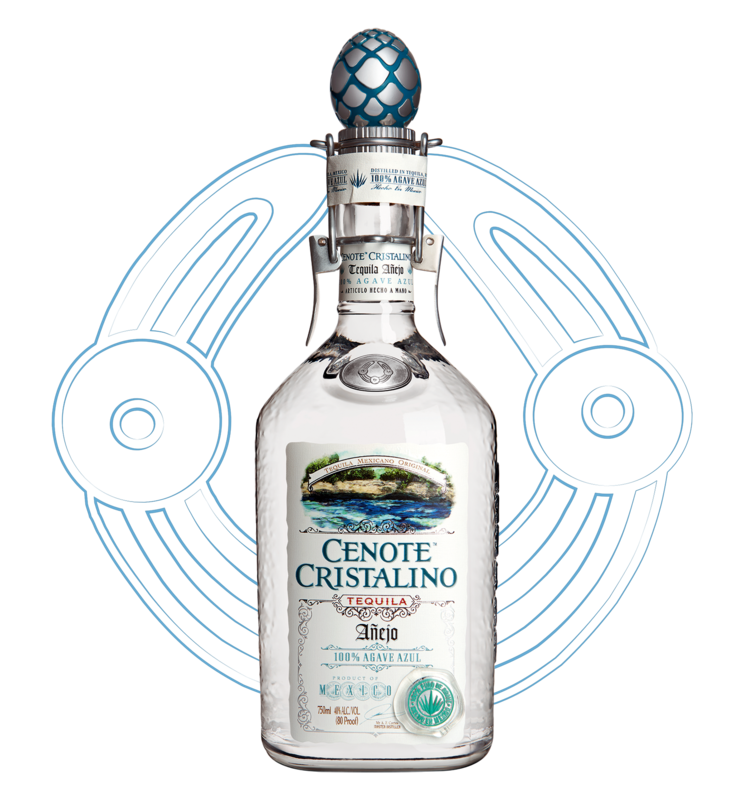 Crystal clear in color, with an elegant toasted spice finish, Cenote™ Cristalino comes from Añejo spirit, aged over a year in American Oak casks, and passed through an activated carbon filter. This proprietary process extracts the amber hue and preserves the beautiful aromas of the aged spirit. The final result is a mellow, matured Añejo tequila, brilliant in clarity, earning the title Cristalino. You must be of legal drinking age to explore Cenote™ Tequila with a Soul. Confirm that you are of legal drinking age in your country.